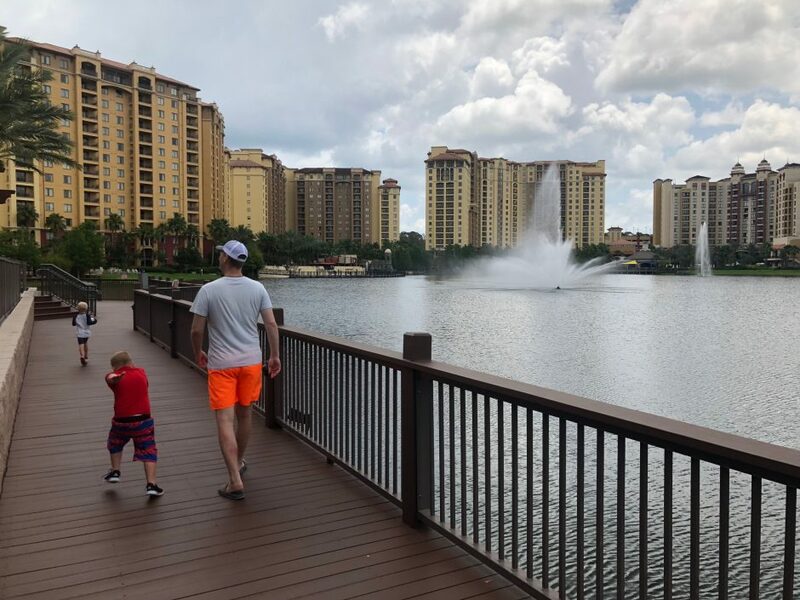 The Wyndham Grand Orlando Resort Bonnet Creek: A Good Disney World Hotel For Families! 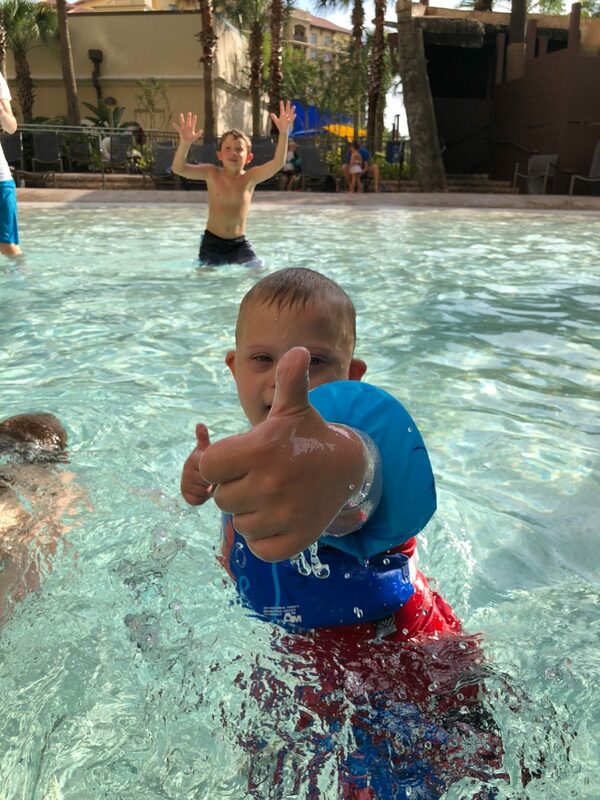 You are here: Home / Family / Kicking off the Summer with a Visit to the Wyndham Grand Orlando Resort Bonnet Creek in Orlando! 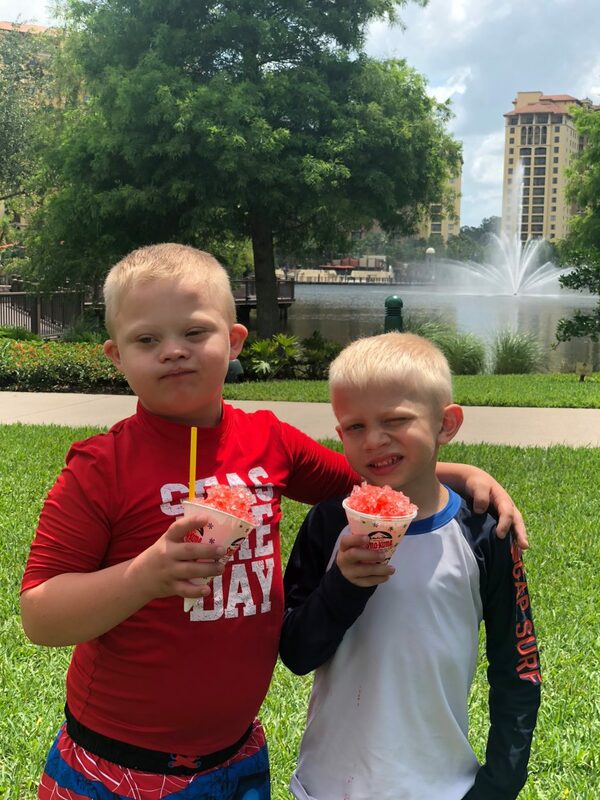 Our children are a ton of fun, and I love traveling with them…so…I pulled Noah out of school a day before his summer break began, and went on a road trip to Florida with him, his brother and two of my friends! (Mom and baby Koen stayed home on this trip.) The first day of our trip we drove from Dallas to Tallahassee where we stayed the night before finishing up the drive to Orlando the following morning. 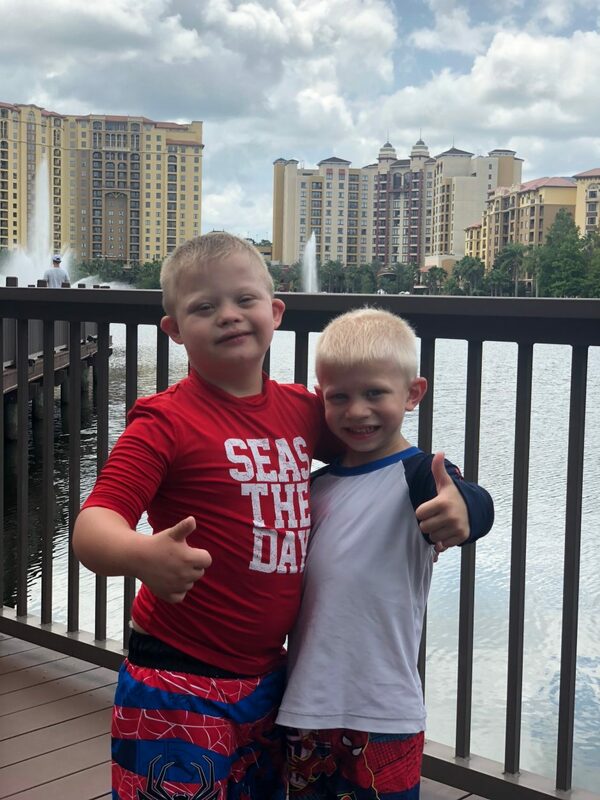 We went to SIX THEME PARKS over the course of three days, which I will be writing about in future blogs, but before we went to any of theme parks, we had a chance to hang out at the mini-theme park at our hotel, the Wyndham Grand Orlando Resort Bonnet Creek. After a full day and another hand full of hours of traveling, we were glad to arrive at the hotel. If you’ve ever made a trip out to Orlando then you know there are LOTS of hotel options. 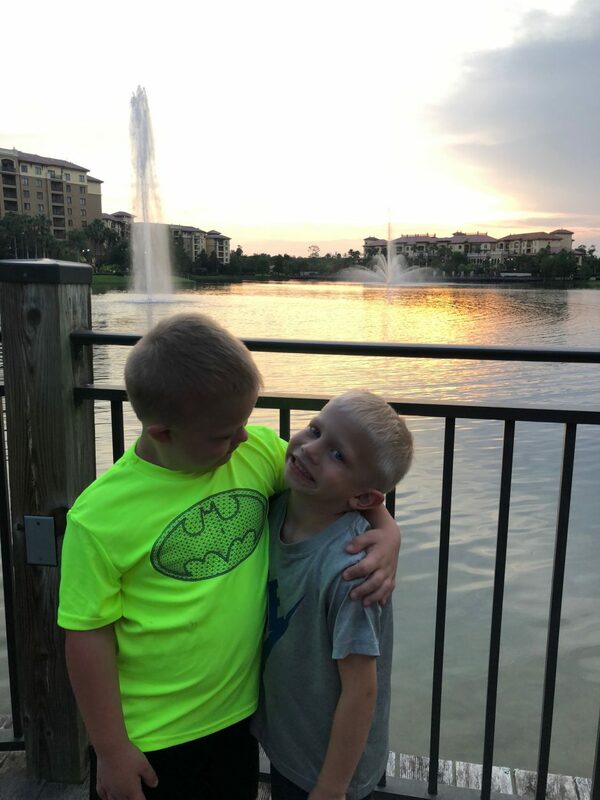 We’ve stayed at two of Disney’s “official” hotels on past trips, and the Wyndham Grand Orlando Resort Bonnet Creek ranks right up there with them for sure! 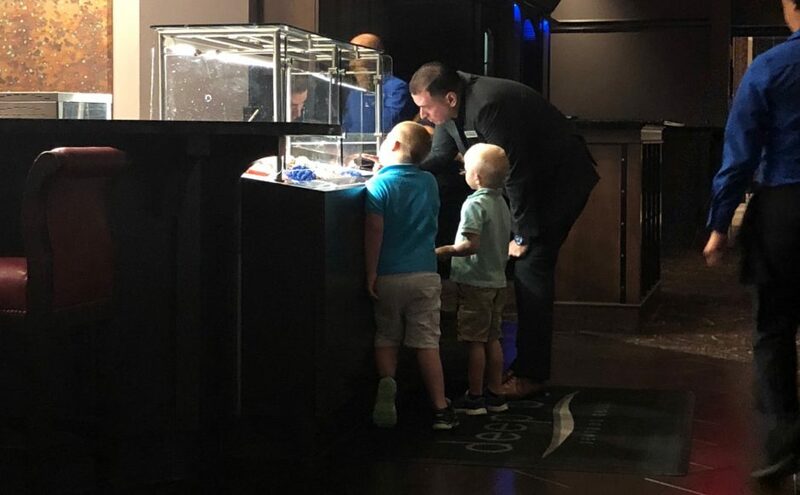 One of the things that stood out to me about this hotel is how kind the staff was! 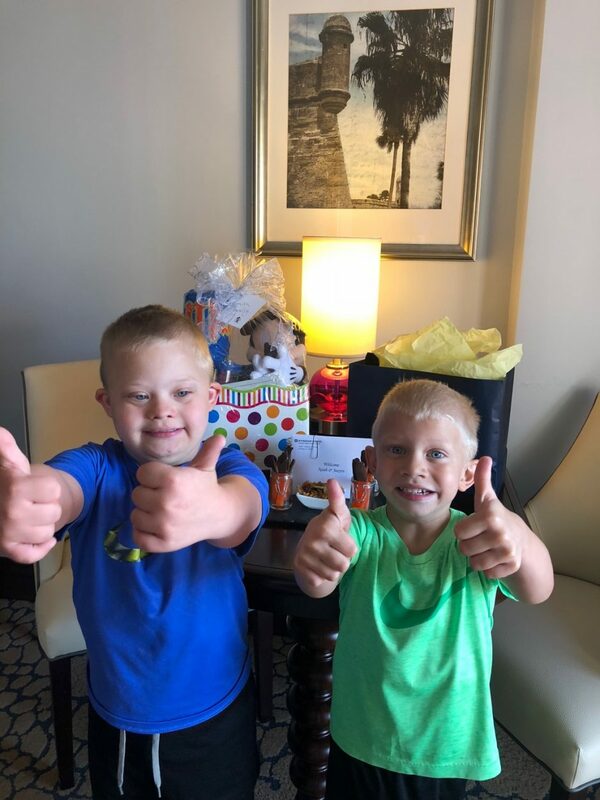 In fact, upon checking into our hotel room, we were greeted with fun gifts for our boys! Our boys are HUGE fans of pools. In fact, I think they may even be tempted to stay at a pool all day instead of visiting a theme park if given a choice. The day we arrived at the hotel we headed down to the pool, and I think we were all impressed with what we saw. 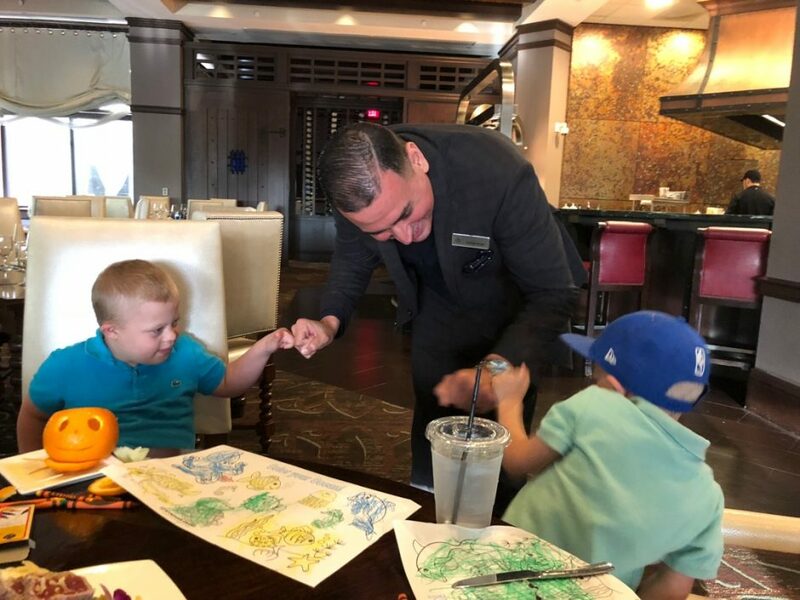 This hotel is connected to a Wyndham timeshare property, and hotel guests can use any of the pools at the timeshare property in addition to the hotel pool. I don’t remember the exact count of the pools, but I think there around ten which include a splash pad, a lazy river, a pirate ship theme, and hot tubs! This is a BIG, beautiful, complex. The property goes around the entire lake in the first picture I shared in this post. Here’s a few snaps of the boys hanging out around the water during our stay. 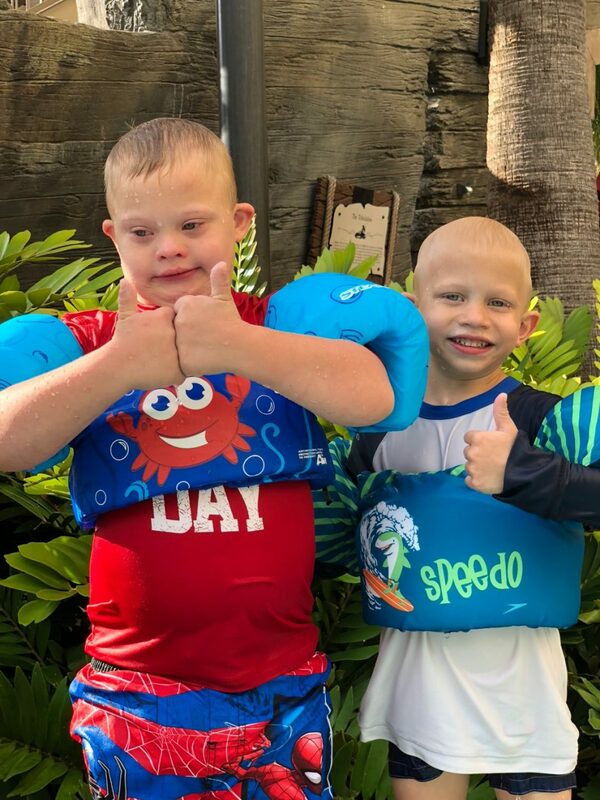 Two thumbs up for these pools! 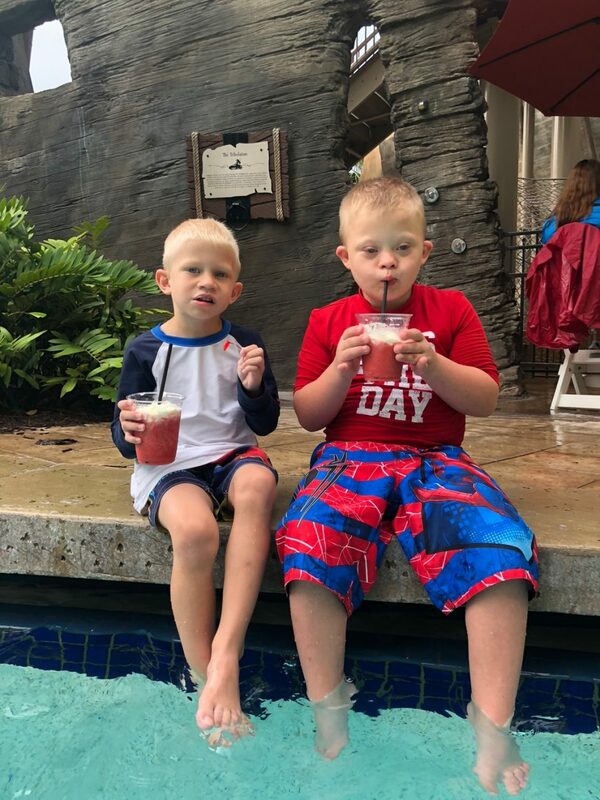 There were so many pools at this property, and our kids (as well as the adults) had a blast hanging out in some of them! I wish we would have had some extra days to enjoy the pools (and the property) even longer. 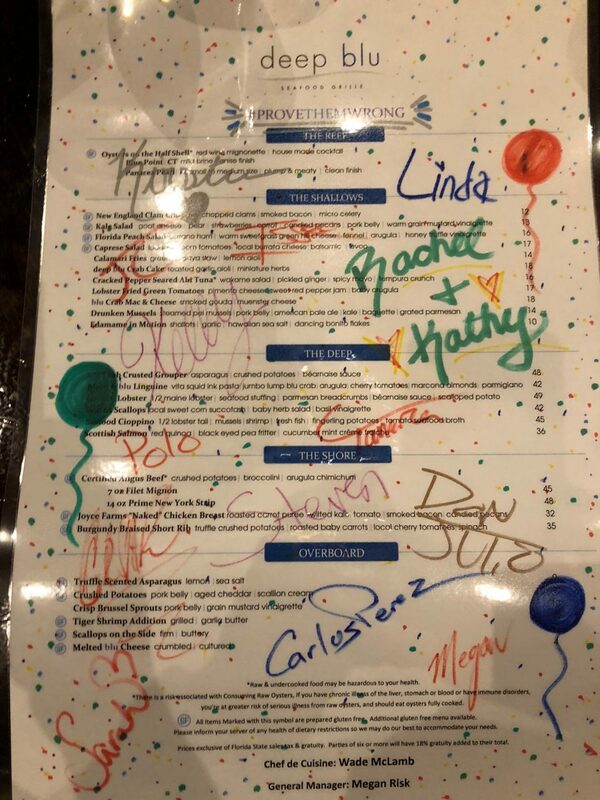 After spending some time at the pool(s), we were treated to one of the best dining experience of my life. I’m not kidding. 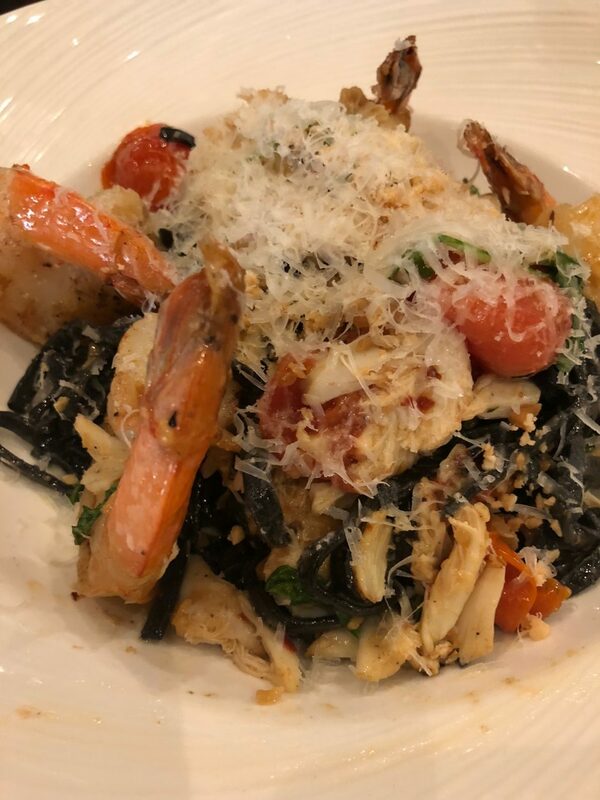 The Wyndham Grand Orlando Resort Bonnet Creek Hotel has several restaurants ranging from counter service / quick food to fine dining, and on this night we invited to eat at their fine dining restaurant, Deep Blu Seafood Grill. 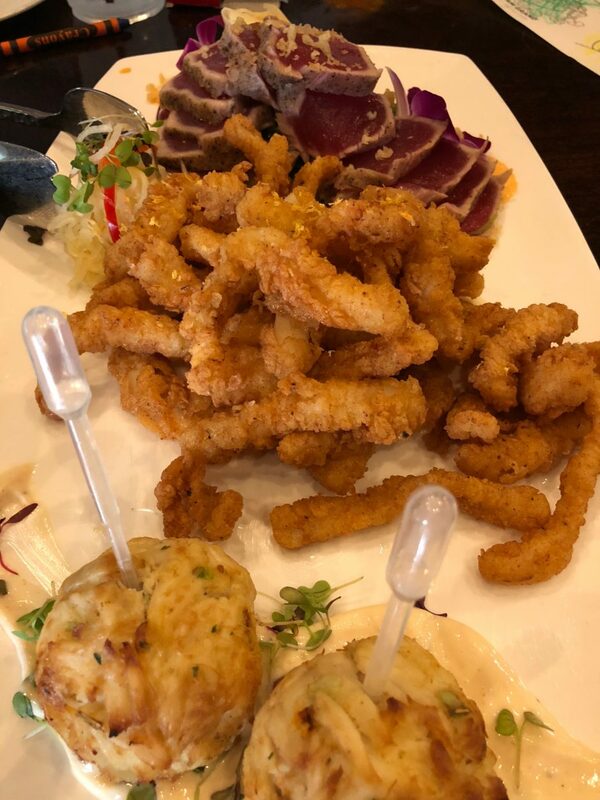 Deep Blu Seafood Grill isn’t the type of restaurant I would suggest to a family of five. 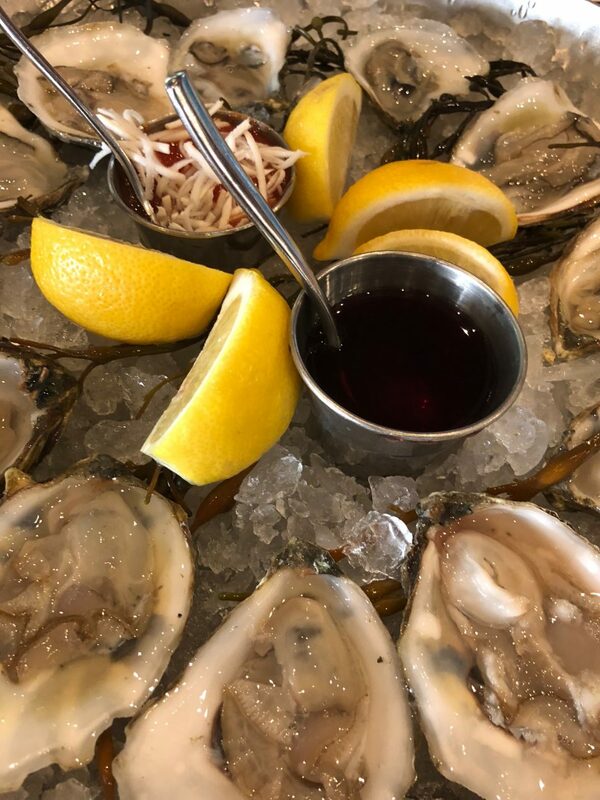 I say that not because it isn’t a great restaurant, but because this restaurant is geared towards a couple out for a nice date night, or a business dinner, and is certainly more expensive than our family of five our spend on an evening meal. 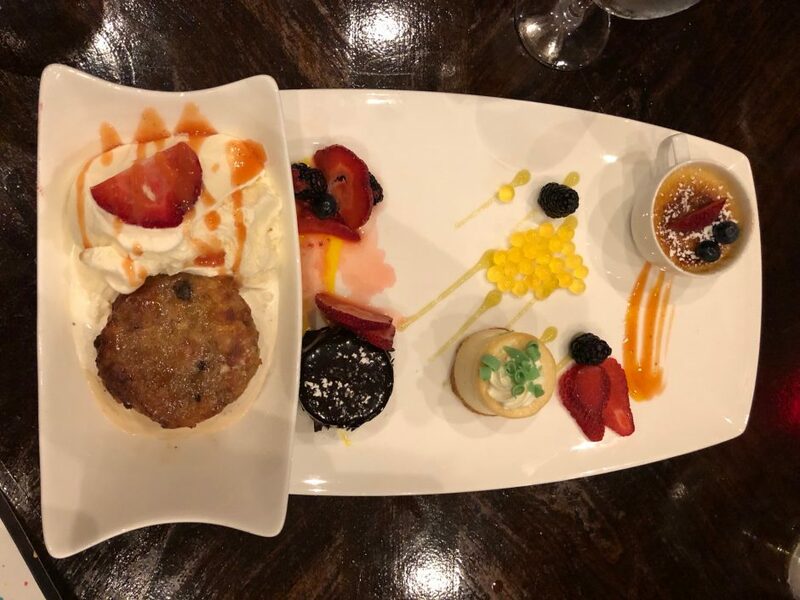 But perhaps you are the type of family that eats fine dining when you’re on vacation, or you’re in Orlando on a honeymoon…in that case, this is a great place! 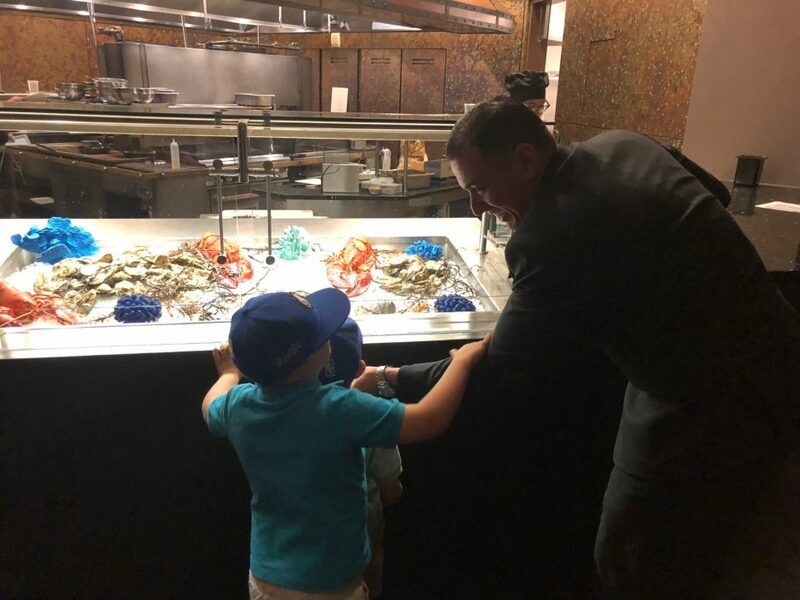 …and the manager came by and talked to us, took our kids to get gelato, showed them the tank where they kept the crabs (before being eaten!) 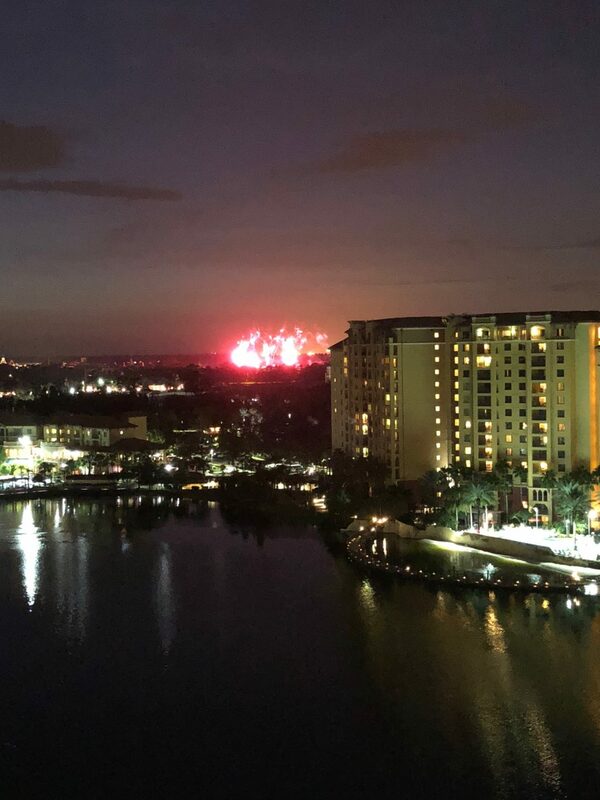 and even took us to a private balcony where we could watch the fireworks from EPCOT! You notice I haven’t really gotten to the food yet! That’s because I was impressed with how kind the staff was, seriously, they were great! However, their food was excellent as well…man did we eat some great food! 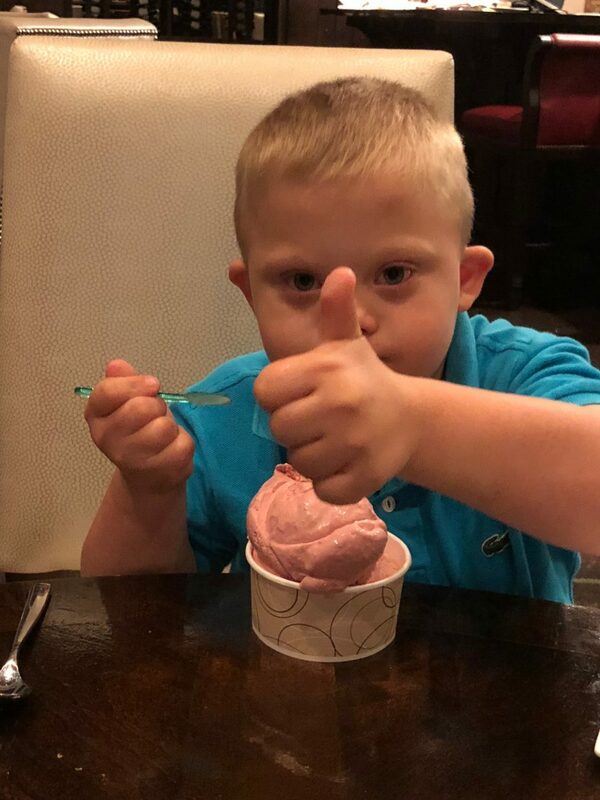 Noah gives his dinner a big thumbs up! Noah is super easy to please. 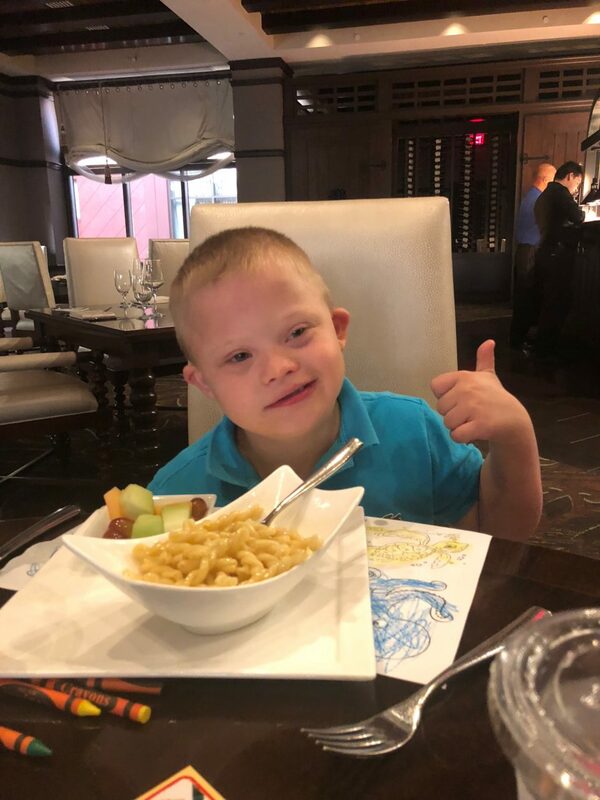 Pretty much no matter where we are, we can order him a side of buttered pasta and he’ll be good! I love this kid. 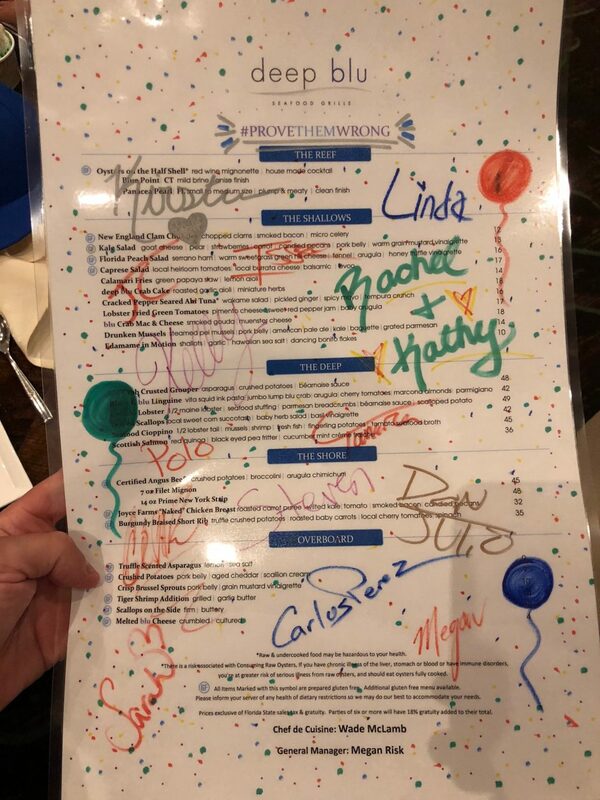 On top of this incredible dining experience the restaurant even gave us customized menus (notice #PROVETHEMWRONG on the menu), and after dinner they presented us with the menus signed and laminated. Seriously!? In addition to the pools, the lake, and the yummy food…they also have a beautiful boardwalk. We spent an entire day at the property swimming and walking around the property…including their beautiful boardwalk! 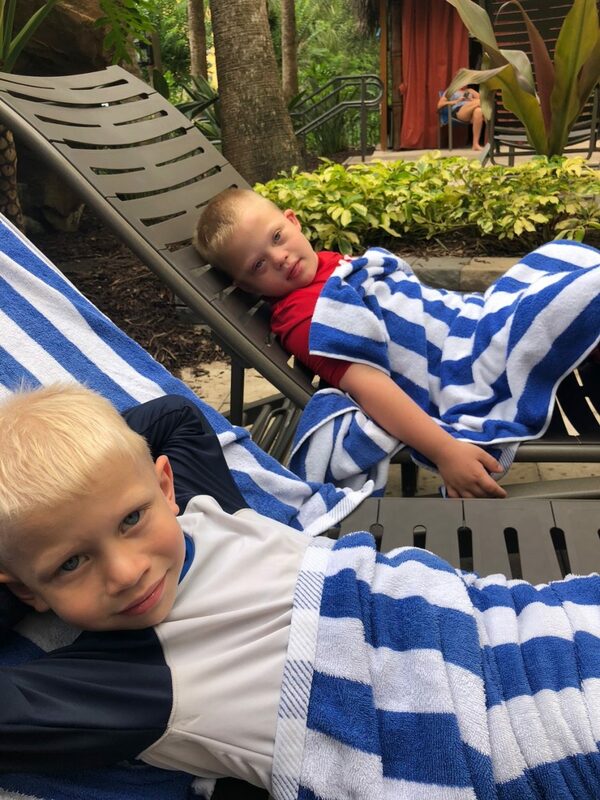 We only took one full day to hang out at the hotel, but if I were planning on going on vacation, I’d put some more “rest” days in our vacation and take some time to enjoy the resort for more than just one full day. 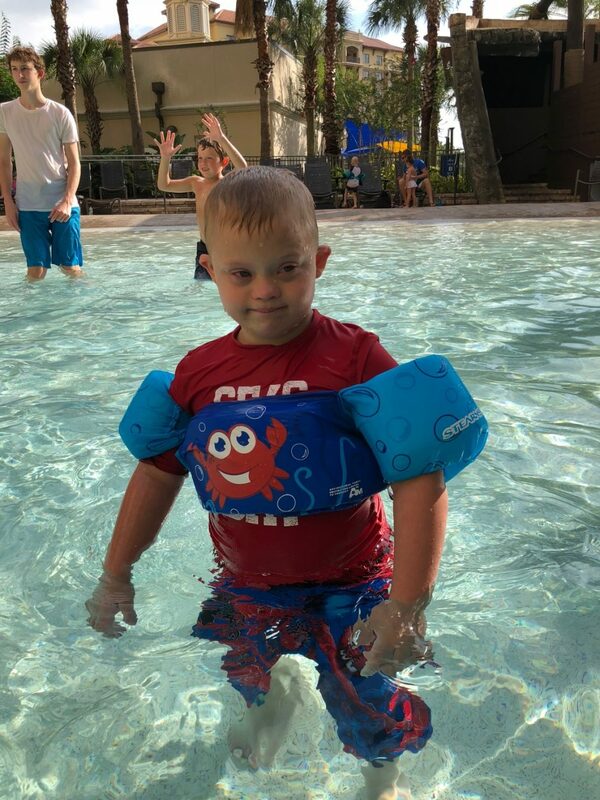 We had a blast hanging out at the pool, and I wish we would have had more time to do that. As I mentioned, there are a lot of hotels in Orlando, and what sat this apart (besides how beautiful it is) is the staff! They made this stay excellent! 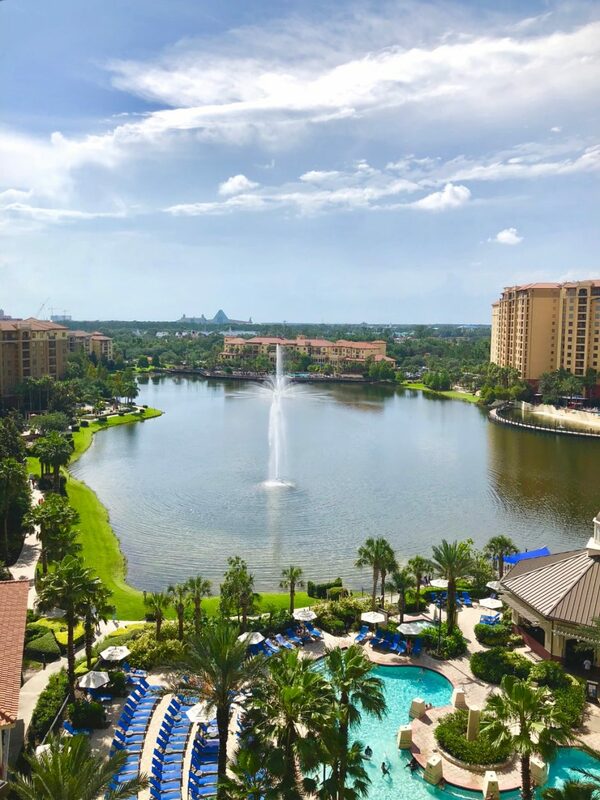 Should you stay at the Wyndham Grand Orlando Resort Bonnet Creek when visiting Walt Disney World? 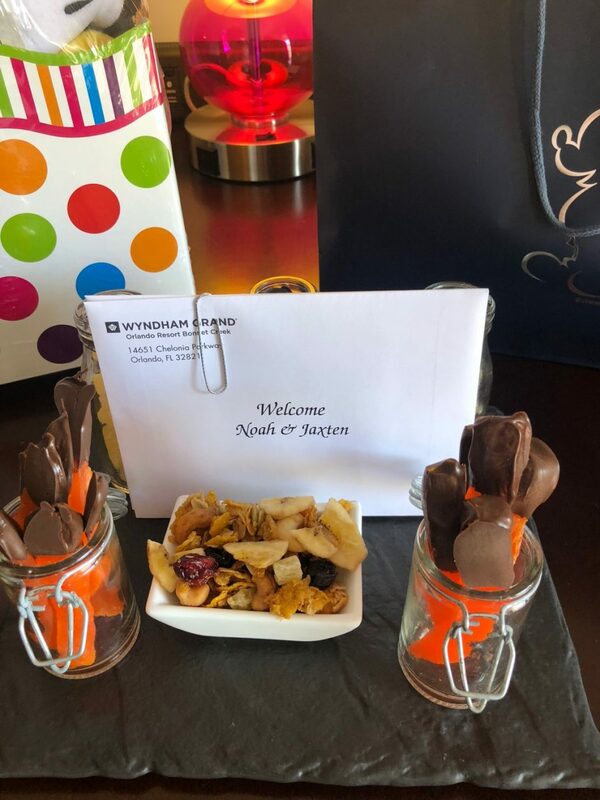 One question you may have is; should stay at the Wyndham Grand Orlando Resort Bonnet Creek while visiting Walt Disney World? I would for sure put this property on my list of hotel recommendations for a Disney World vacation. It’s super close to the Disney parks, in fact, you are just down the street from Disney Springs, there is a lot for your kids and family to do, and it’s a BEAUTIFUL property! One thing to be aware of if you stay at this resort is you don’t have access to the fantastic Walt Disney World Transportation System (bus/shuttle/boat/monorail.) The hotel does have a paid shuttle that will take you to Disney World. We like to stay until the park closes and the last shuttle came back from the parks earlier than worked for us, so I didn’t use it. We had our own car, so it was a quick drive to the parks. Also, we had park hopper tickets on one of the days we were there and went to four Disney Parks in one day (more on that in an upcoming post!) The great thing about Disney parking is you only have to pay to park at Disney once. So if you keep your receipt, you can park at all four parks for the one parking fee you paid. I had a blast at the property with two of our boys, and I’m looking forward to coming back again with my wife and our other son! Have you stayed at this hotel before? What are some of your favorite Orlando properties? Leave a comment below and let me know! Good to hear you all enjoyed the trip. 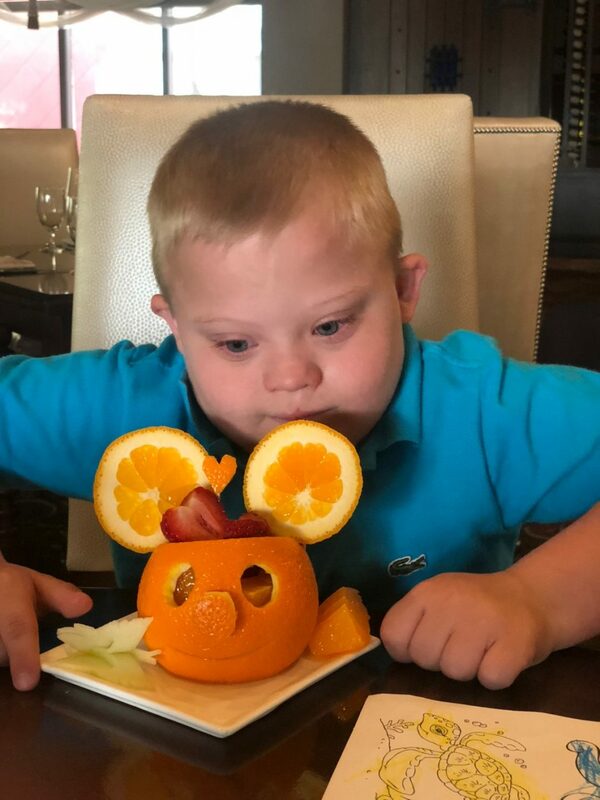 Thank you so much for sharing your pics and story about your trip to Orlando. So glad everyone had a great time. 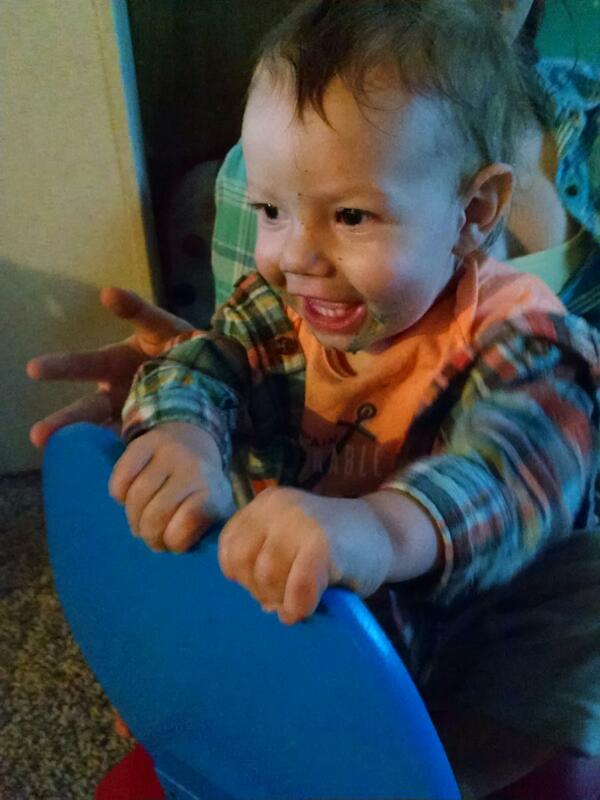 I’ve missed seeing post on FB about Noah. So glad I signed up for emails, now I won’t miss an adventure you and your family has. Take care and God bless. ??? ?N O A H!!! ???? I have been blessed to learn about you since the day you were born, I Love to see you blossoming into a fine little young man. I’ve missed seeing you in the last four months bc I’m not on FB anymore, this email was the highlight of my day. I’m so happy your Daddy took you and you Jaxten on such an amaZing vacation. Reading all about your families adventures warms my heart. Keep proving them wrong ???? Rick, that is awesome! 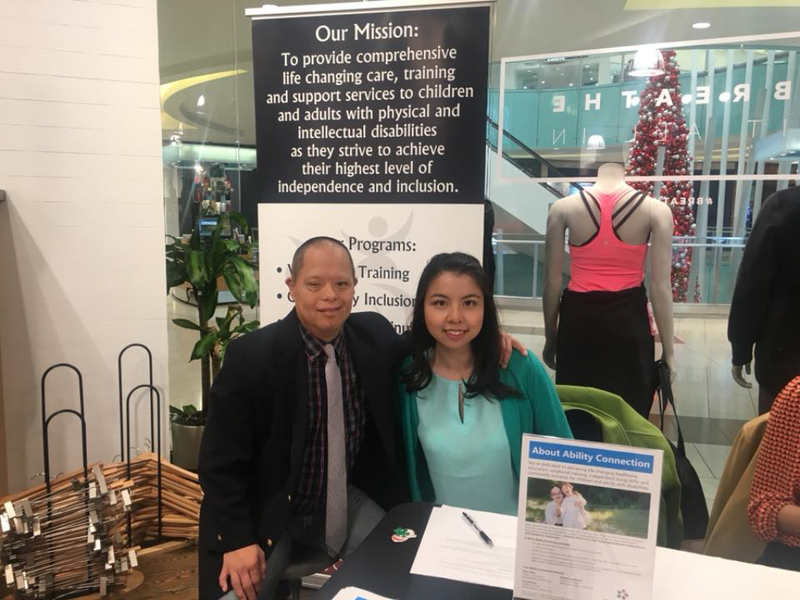 My husband Chris and I have a resort package through Wyndham and so I am glad you enjoyed it, especially since we want to plan a trip in the next two years to go down to that one. 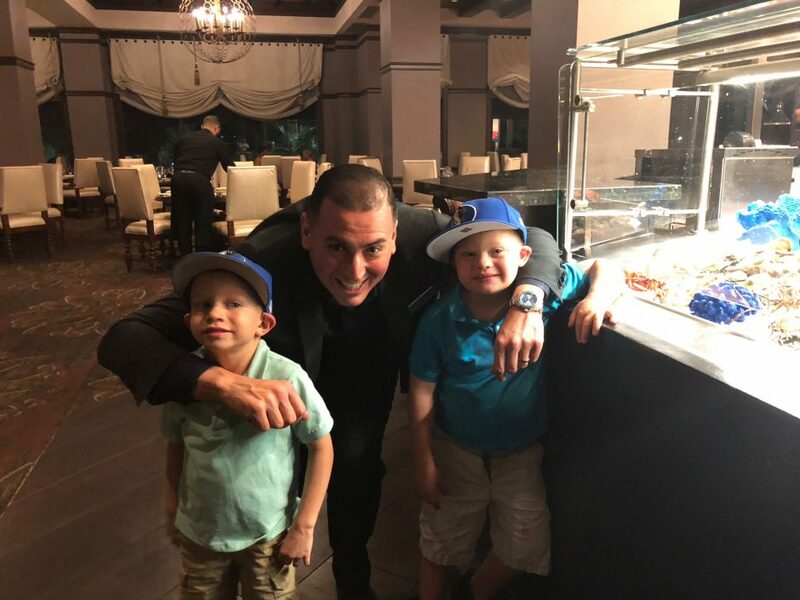 Looks like you had a blast, I am glad you were able to make some memories with the boys. Have a blessed weekend!